There a new rules for 2016 which Thai Immigration is bringing out. This has now bee listed in The Nation newspaper as to how the new overstay rules in Thailand will work. You can read it here. The majority of foreigners in Thailand live outside of Bangkok. The Thai government estimates that there are about 1,100 foreigners in Greater Bangkok who have extended their stay and about 280,000 expats over the period of a year. This appears to be a bit low however outside of Bangkok more than 900,000 submitted the applications during October 1-November 30, 2015 alone. 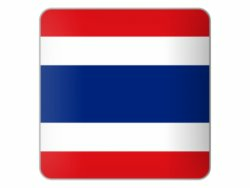 You can extend your marriage visa and retirement visa if you meet the requirements in Thailand. 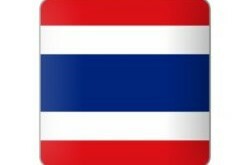 The visa over-stayers in Thailand will be divided into two. The first group of foreigners are those who overstayed and have surrendered to Thai Immigration. The second group are those who are on overstay and are caught by Thai immigration. In the first group, those with one year of overstay will be subject to a 3-year entry ban; those with more than 3 years of overstay will be banned for 5 years; and those with over 5 years of overstay will be banned for 10 years. Those in the second group will get 5-10 years banning orders. It is always best to speak to an immigration lawyer in Thailand if you have overstayed and then approach Thai immigration to ensure that there are no misunderstandings.